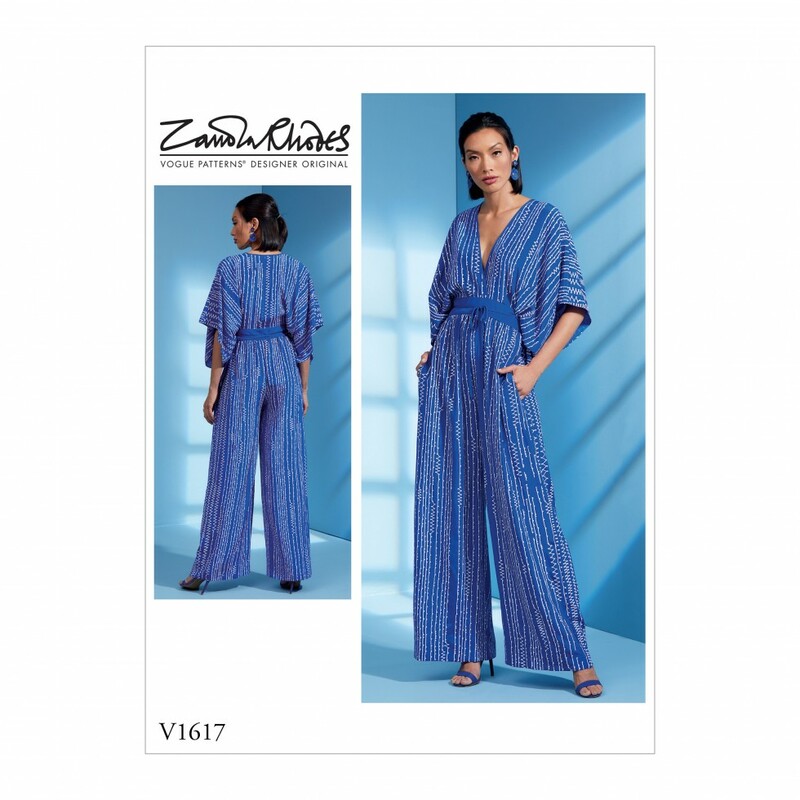 Very loose fitting jumpsuit has surplice bodice with contrast binding, kimono sleeve, waistband with ties, side seam pockets, and flared leg with hem facings. Fabric suggestions include: Crepe De Chine, Charmeuse, Rayon Challis, Matte Jersey. Lining: China Silk.